Summary: American Heart Association/American Stroke Association and StopAfib.org launch My AFib ExperienceTM, a personalized online community for atrial fibrillation patients and caregivers. (DALLAS) Dec. 10, 2014 — Many people experience a slight quivering or racing heart at some point and usually give it little notice. But for those diagnosed with atrial fibrillation (AFib), that irregular heartbeat can be a serious condition that can increase the risk of stroke and needs medical attention. My AFib Experience™ (www.myafibexperience.org) is an innovative and unique online community that can help people understand the condition, learn how to better manage it and connect with others who also experience it. A collaboration of the American Heart Association/American Stroke Association and StopAfib.org, with support from Janssen Pharmaceuticals, Inc., My AFib Experience is designed to help people through all stages of the condition, from newly diagnosed through various treatments and risk-reducing options with medications or procedures. Most importantly, it raises awareness about the seriousness of this condition. More than 2.7 million people are living with AFib. Although the irregular heartbeat can feel debilitating and frightening, an “attack of AFib” usually doesn’t have harmful consequences by itself. But knowing the risks and how to lower them can help people with the condition live long, healthy lives. The experience is tailored to the individual need. Users develop profiles based on their age, physical activity level and specific health conditions that help personalize the information they receive during their online visits. Resources and information included in the latest treatment guidelines can help patients be more engaged with their provider in making treatment decisions. McCall knows the importance of having correct information and strong support. After decades of being the family caregiver and working in healthcare, the tables were turned on her in March 2009 when she had her first episode of atrial fibrillation. It was more than a year before she was correctly diagnosed, but now after finding the right treatment for her, she’s AFib free and helps in offering support for others dealing with the condition. Along with extensive and personalized information on AFib, users can connect with others going through similar journeys through the online forum. They can share stories, experiences and tips, as well as offer emotional support. Janssen Pharmaceuticals, Inc., is a sponsor of the American Heart Association/American Stroke Association’s and StopAfib.org’s My AFib Experience. The American Heart Association and the American Stroke Association are devoted to saving people from heart disease and stroke – America’s No. 1 and No. 4 killers. We team with millions of volunteers to fund innovative research, fight for stronger public health policies, and provide lifesaving tools and information to prevent and treat these diseases. The Dallas-based American Heart Association is the nation’s oldest and largest voluntary organization dedicated to fighting heart disease and stroke. The American Stroke Association is a division of the American Heart Association. To learn more or to get involved, call 1-800-AHA-USA1, visit heart.org or call any of our offices around the country. Follow us on Facebook and Twitter. StopAfib.org is a patient-to-patient resource for those living with atrial fibrillation. Founded by author and speaker Mellanie True Hills, CSP, an atrial fibrillation survivor, StopAfib.org focuses on improving the quality of life for patients and their families, supporting the doctor-patient relationship, and wiping out Afib-related strokes worldwide. 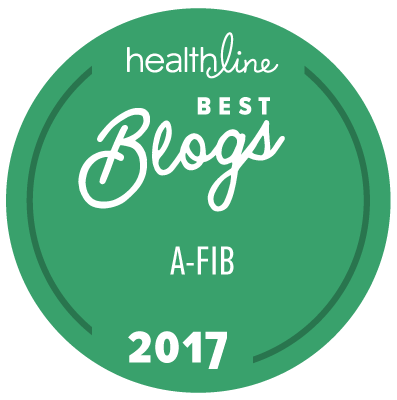 StopAfib.org is among the top heart condition sites worldwide and has received HON Code Certification from the Health on the Net Foundation, signifying a credible, trustworthy medical web site. Notable resources include the Get Started Learning about Afib Guide and videos of the National AF Patient Conference. To learn more, visit StopAfib.org. Follow us on Facebook and Twitter.